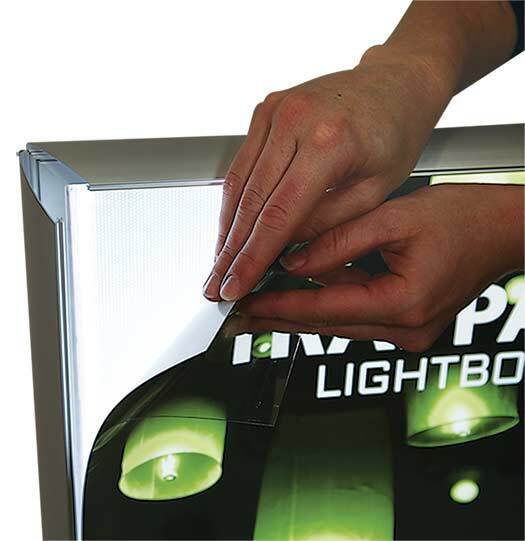 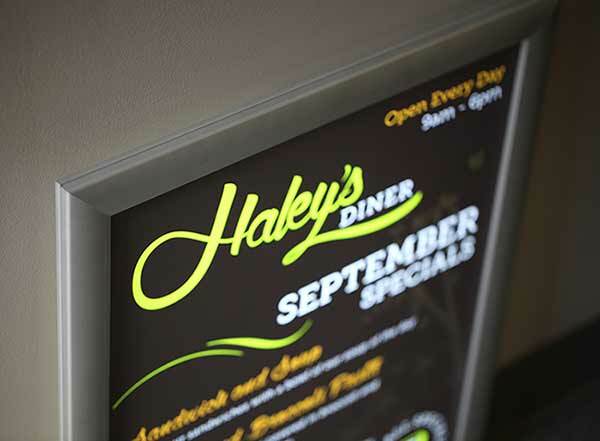 Inserts for illuminated Snap-Open frames include any custom graphics and messages you need. The thin 1" thick profile of the corresponding frame incorporates an LED diffusion panel for even light distribution from behind your insert. These graphics add instant appeal and a pop of color to the stylish, aluminum illuminated sign frame. 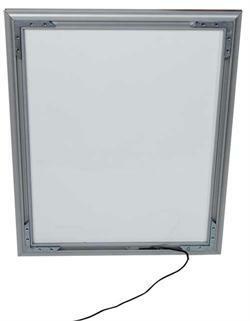 5 standard insert sizes available to correspond with 5 standard frame sizes. Printed translucent graphics. 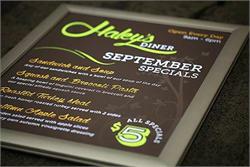 Customer supplies artwork - custom design available for additional fees. 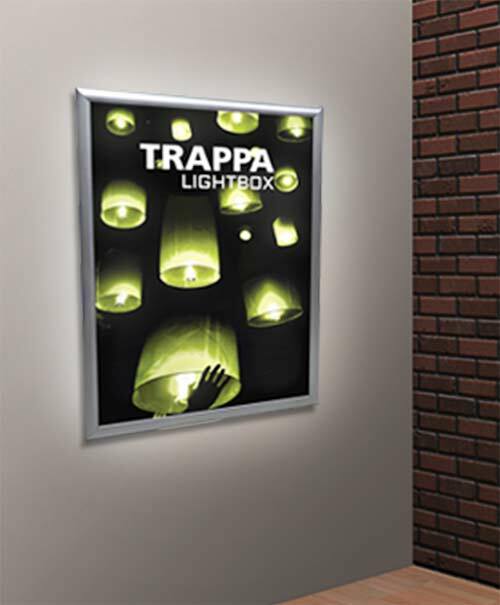 Click here to purchase frames.